If you have an online store, you know that getting traffic to your pages and products can be a challenge. However, one easy strategy for getting eyeballs, purchases and Google Page Rank to your website is to submit coupon and promo codes on third party coupon and deal sites. High-quality backlinks. 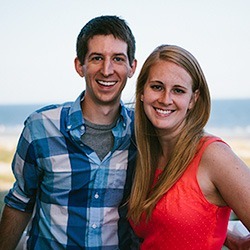 Coupon sites like RetailMeNot boast over 1.7 million users and 30,000+ retailers. Needless to say, such sites have incredible Page Rank. A backlink from such a site can do wonders for your own website’s visibility in the search index. Increased traffic. Online shoppers are increasingly using promo codes and e-coupons, and couponing sites like Krazy Coupon Lady promote the extreme couponing lifestyle. In fact, according to Statista, 52% of adult Internet users living in the U.S. had used an online coupon in 2013. Going viral. Most coupon sites offer their members the ability to log-in via social media platforms such as Facebook or Twitter. Because of this link, members that use a promo or coupon code on the site can immediately share that code with their own social network. As a result, the code can go viral and reach a larger audience. Increased revenue. The goal of publishing a promo, coupon or deal code is (naturally) to increase revenue. With increased traffic to your website via your codes, you increase the likelihood of boosting your bottom line. Which coupon code is best? There are many different discounts, offers and promos available, including percent discounts, buy-one-get-one deals, free gift(s) with purchase, etc. How do you choose the promo that best resonates with your audience and generates the most conversions? 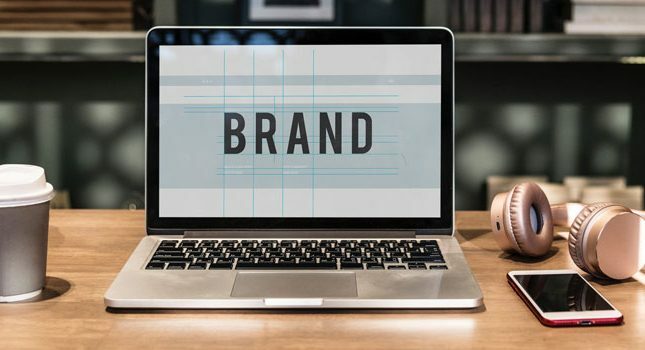 According to a 2016 AYTM Market Research survey, almost three quarters of online shoppers preferred receiving money off their purchase over any other promotion, discount or deal. In second place, consumers chose a set percentage off their entire purchase, followed by a percentage discount on a single item. You could also poll your own audience to learn which incentive is preferred Alternately, you could generate several different codes in order to learn which one performs best. Most e-commerce platforms offer the ability to create coupon and promo codes quickly and easily. For example, the WooCommerce plugin offers an area where coupons can be created and applied towards specific products on the website. WooCommerce supports four different discount categories, namely cart discount, cart % discount, product discount and product % discount. Such categories consolidate well with the data generated by AYTM. While creating an incentive code isn’t difficult, it pays to keep code terms and conditions (T&Cs) in mind so as to avoid both shopper confusion and profit loss. Some T&Cs to incorporate into your code include the expiry, applicable product quantities and sizes, and minimum/maximum spend. Other T&Cs you should consider are whether the code will apply to sale items, and if the coupon should be for individual use only (not to be used in conjunction with other coupons). To create a sense of urgency, you might also consider setting coupon usage limits; for example, you might limit how many shoppers can open and use a particular coupon code. 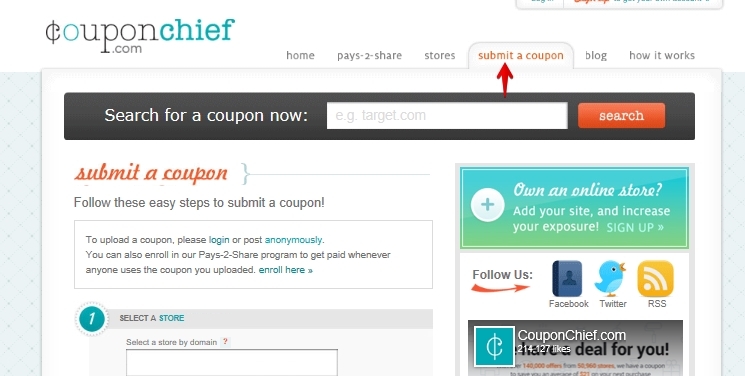 Coupon Chief: You can easily submit your promo or other codes at this site once you sign up via its merchant portal. CouponGreat: This site features loads of cash back deals and even product samples. 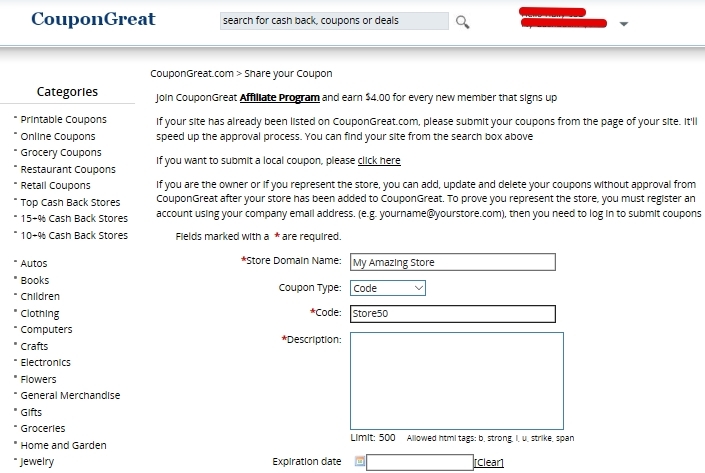 At the bottom of this website’s page, you can click on and fill out the “Submit a Coupon” or “Submit Local Coupon” areas. My Coupons: This site has been around since 1995 and features many well-known retailers such as Nike, Sears, Old Navy, etc. 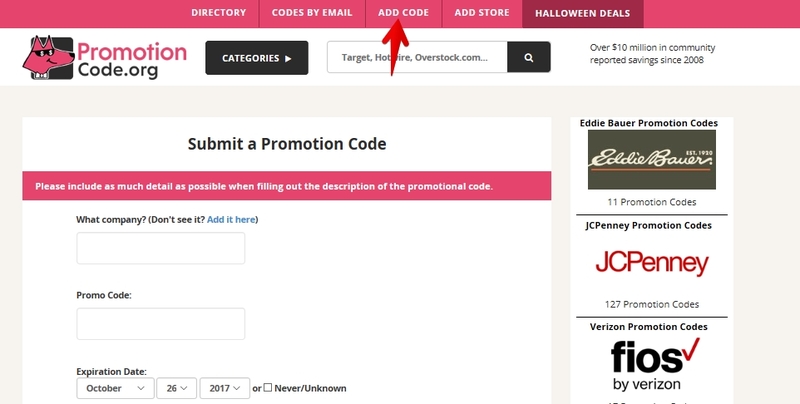 You can submit your code by going to the right-hand column of the home page or to the dedicate “Submit a Coupon” page. RetailMeNot: This leading coupon site offers members the ability to “Submit a coupon” from their account areas. To reach markets outside the U.S., you should also consider submitting your coupon codes to Canadian sites like Coupons.ca, Australian sites like I Love Coupons, and U.K. sites like Coupons and Deals. 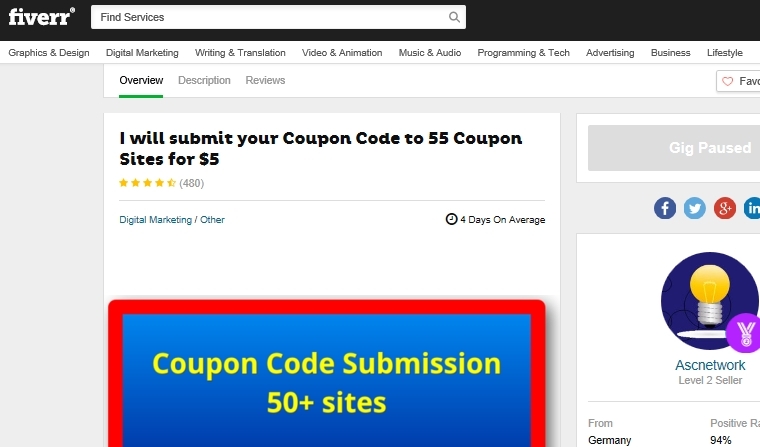 To reach even more coupon sites and to save yourself a good amount of time, you might wish to outsource your coupon code posting to Fiverr. 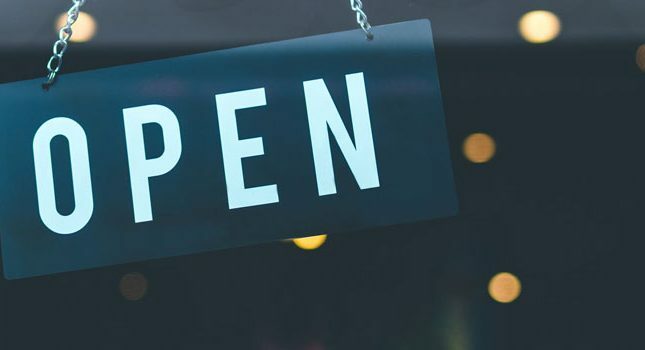 Finally, in order to gain even more traffic to your codes, and hopefully sales, you may want to post your coupon codes on business cards and leave those cards at local businesses, venues and events. You could also create small stickers that contain your code(s) and affix those stickers to stationary, envelopes and business cards. The months of October and November are typically when consumers shop the most, and likewise look for the most discounts and deals. Give your online business a sales boost by creating some timely deals and coupon codes to go with those deals. Then, post those incentives and watch your profits grow.